Jacks has the replacement Bobcat Fuel Filters that you need to complete your yearly maintenance projects. 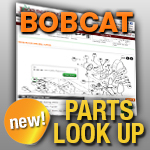 Choose below to find the replacement Bobcat Fuel Filters individually or by the shop pack. With fast shipping, Jacks will get you your replacement Bobcat Fuel Filters fast!